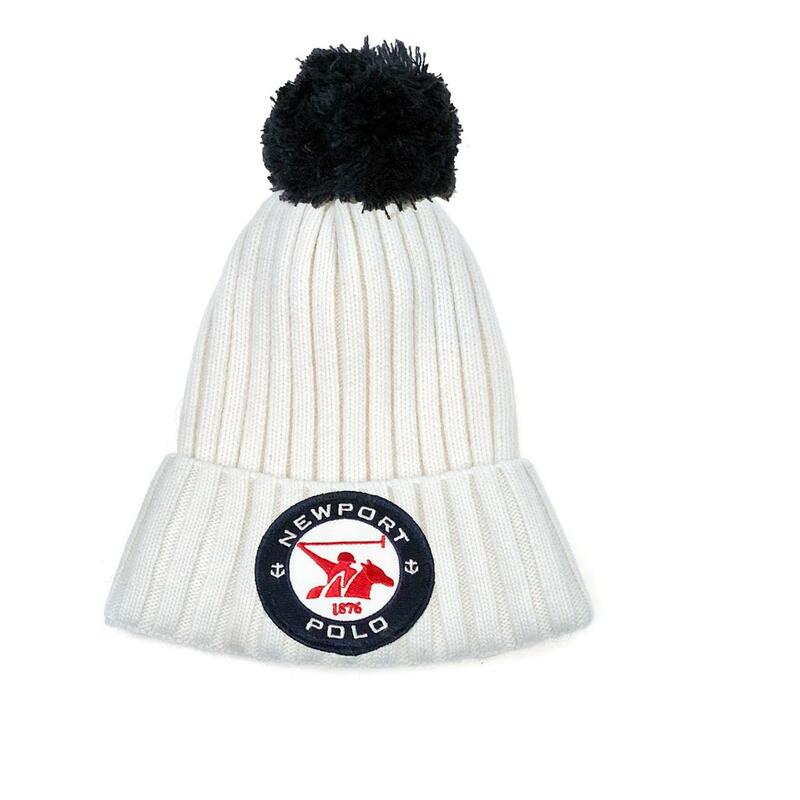 Feel stylish and warm with team spirit in our designer Newport Team Spirit Beanie in your choice of white, grey or navy soft, washable wool-blend winter knit, with detachable navy plush pompom or natural fox pompom. Signature Newport Polo embroidered patch. Special discounted price while supplies last; No free shipping or other discounts apply. (Un-snap detachable pompom before cleaning hat.) Dry clean or hand/machine wash delicate cycle in cold water only; air dry. Wool/Acrylic blend.